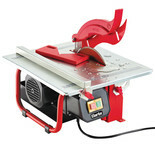 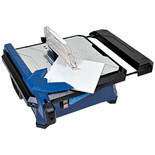 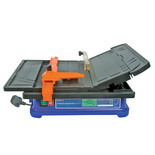 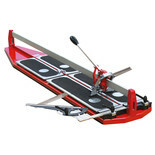 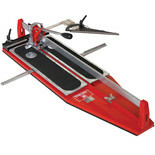 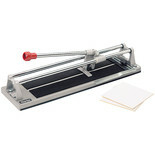 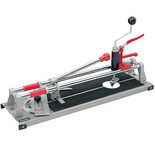 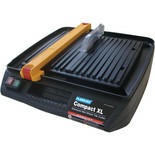 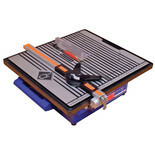 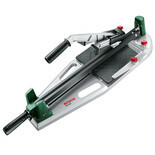 This tile cutter is ideal for high precision cutting of larger format tiles. 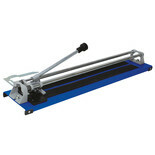 Cutting head carriage with ball bearings for greater accuracy and easier use. 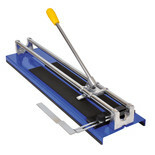 This tile cutter provides a compact and lightweight design, with a rigid steel construction and adjustable cutting guide.